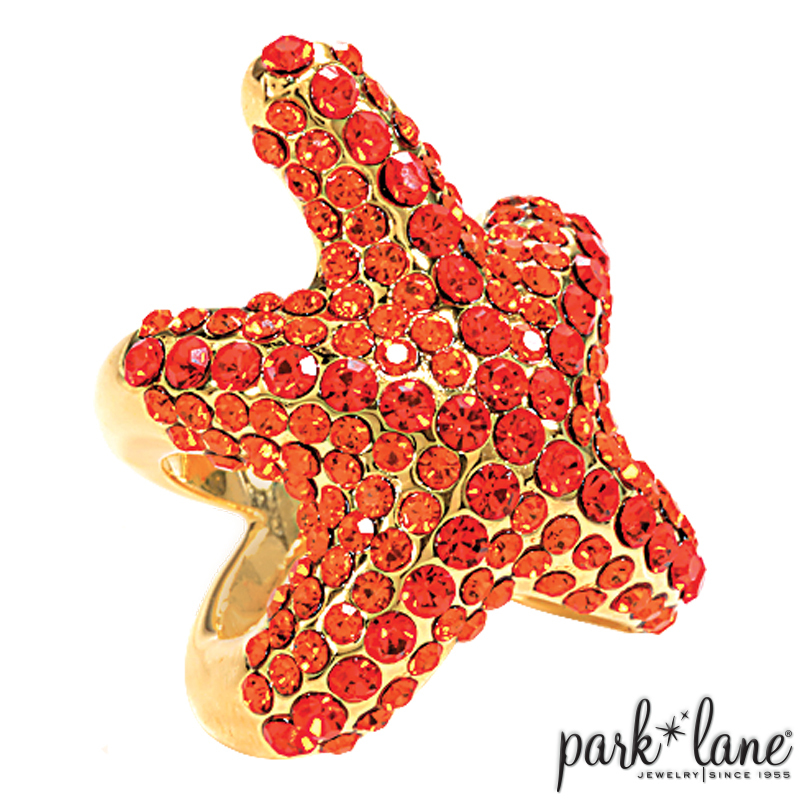 A must-have treasure from the sea... STARFISH! This unique split-shank ring is ablaze with color and sparkle! Deep orange and brilliant tangerine crystals combine to create this darling 3-D sea creature! Complements: great accent ring. Color flatters Tangerine ensemble.